Tuesday we talked about questions. You can read that post HERE if you didn’t already read it. MOM: Billy, where is the dog? Is the dog outside? MOM: Billy, what shape is this? Is it a square? And then I posed some questions for you to ponder. Let’s go over these now. In the first interaction I mentioned yesterday, someone you’ve just met begins firing question after question at you. They will listen to your answers, but then move on to the next question. Is this a conversation? Not really. It more like an interrogation. You probably would feel uncomfortable and on-the-spot. You may not actually feel comfortable answering after a while and may start giving short answers. There is no back and forth, and though you are sharing about yourself the other person is not, and therefore you are learning nothing about them. Typically in a true conversation, people take turns not only asking questions, but commenting and sharing information. This type of interaction doesn’t really work. I then shared a similar dialogue that could happen between a parent and a child. How do you think your child would feel in a similar situation? If being questioned over and over would be uncomfortable for YOU, imagine how your child would feel when put in the same position. Most likely, very similar. We have already determined that most people, when put in a position where they are constantly questioned, will feel uncomfortable. They may even start giving shorter answers because they are uncomfortable. But look carefully at the interaction between Mom and Billy, and what do you see? 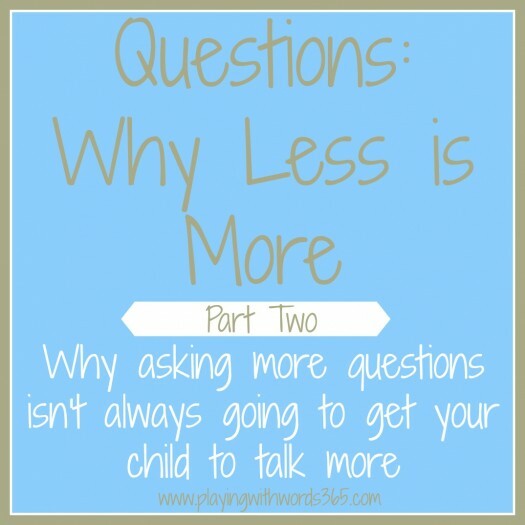 I see a mom who loves her child and wants to do what she can to get him to talk more, and she knows that when you ask a question, there is an answer so she uses this technique. A lot. I see an interaction that is primarily being controlled by the parent and not the child. The parent is asking questions based on what she wants him to say, and not necessarily about what the child wants to talk about. if someone kept asking you about topics you don’t care to talk about, just how much would you be taking part in that conversation? How motivated would YOU be to interact? Not very. I see a lot of one word answers. Remember that Billy is a late talking 2 year 3 month old and Mom wants him to start to put words together. Her question asking strategy is not meeting that goal, however. She is asking many closed ended questions that only require one word answers. So she may have gotten him to say some words, she was not meeting her goal of getting him to put two words together. I see an interaction that is not meeting the goals the parent had. So….how can this parent (and all parents) move away from being the interrogator and moving on to help their child? First of all, I have GOT to say that asking questions is a VERY common way for parents to try to get their children to talk. I mentioned in the comments on Part One that I even have caught myself being stuck in the “question circle” with my own son, age two. As an SLP, I am good about avoiding this with the children I work with, but as a parent I am not perfect and sometimes find myself doing this. So my first word of advice if you find yourself asking a lot of questions? Forgive yourself! You are not alone! I think we have already established that too many questions are not a good thing. But don’t just STOP asking questions! What you need to do is BALANCE how many questions you ask, with other things you say. 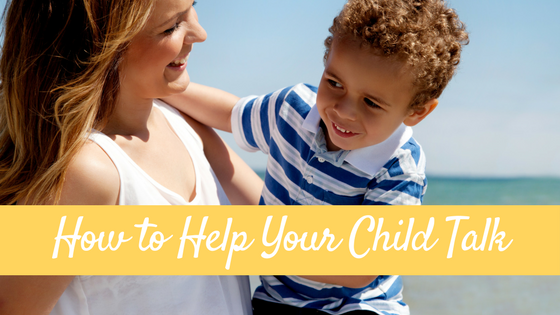 When you are talking to your child, you need to be sure to balance the amount of questions you ask, to the amount of other information you say….like comments, parallel talk & self talk, and expansions. In fact, make sure to say 2-4 pieces of information for every question you ask. Remember how I said above that I noticed Billy’s mom was talking a lot about what SHE wanted her child to talk about? The conversation was very parent-led. You want to watch your children carefully and talk about what they are interested right this minute. Just because your kid loves the cat, doesn’t mean you need to talk about the cat right now…unless he shows you he is interested in the cat right this minute. MOM: Oohhh I see the train! MOM: The train goes choo choo! Billy: Choo choo! Tain choo choo! MOM: Yes! Train goes choo choo. MOM: Yes, that is a truck! What does the truck say? Billy: Vroom! Tuck vroom vroom! MOM: That is a BIG dump truck! MOM: Dump trucks carry dirt. Ok…what do you think? Do you think that went better? Do you think you can ask less questions in your interactions? 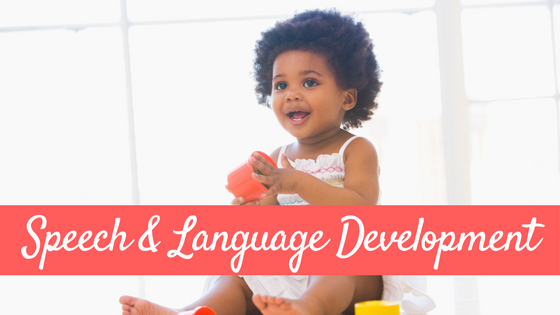 You can see my post on Comments and Asking Questions where I talked a bit about this previously and share some ideas oh how to ask different types of questions, to more effectively provide opportunities for your child to use language. 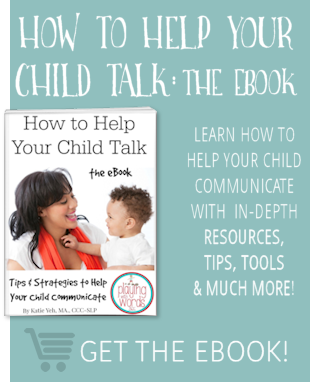 You can also see my posts on Parallel Talk & Self Talk and Expansions & Extensions for more tips on how to talk to your child to best help them learn and use language. 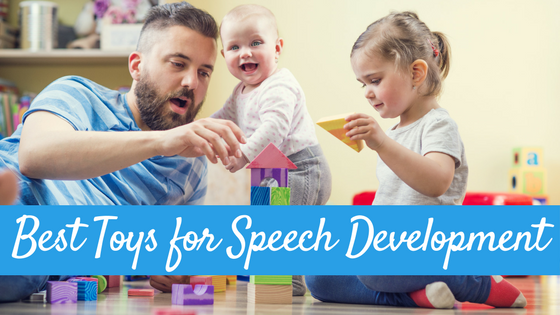 And stay tuned more posts to help YOU become your child’s personal speech therapist! 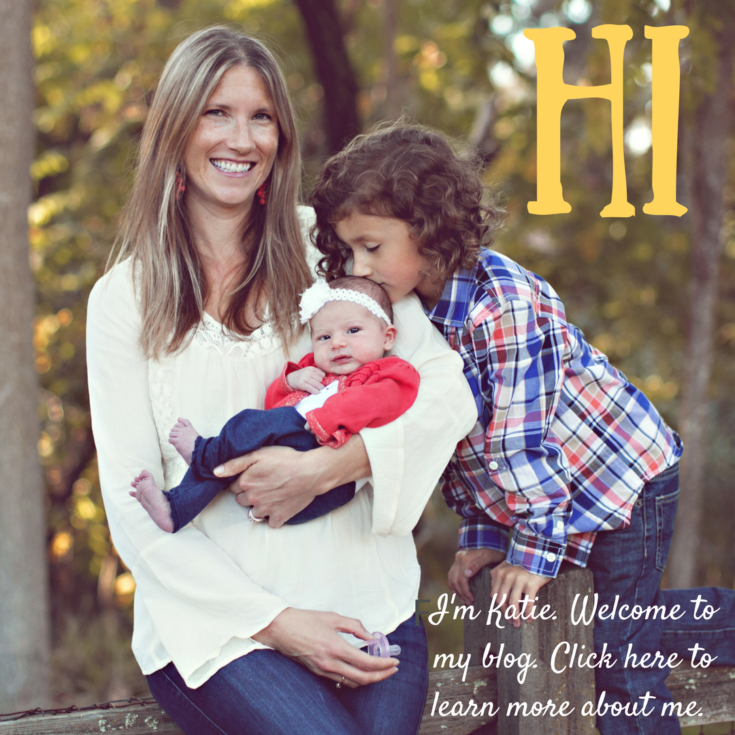 Your blog is my go-to blog when I need to print out references for my early childhood kids. I am a speech therapist in the schools working with EI students. I love and appreciate the parent-friendly articles and how you answer questions that so many parents always ask. Your blog is not only thought-provoking but but beneficial to parents AND therapists! Thanks for all you do! I love these posts! Less is definitely more! I work with families with young children with autism. It’s always eye opening for parents when I ask them to play with their child, and they’re not allowed to ask any questions or direct their child how to play. They have to follow the child’s lead. It’s a lot harder than it sounds, but the interactions become much more rich, just like your example in this post. Thanks! 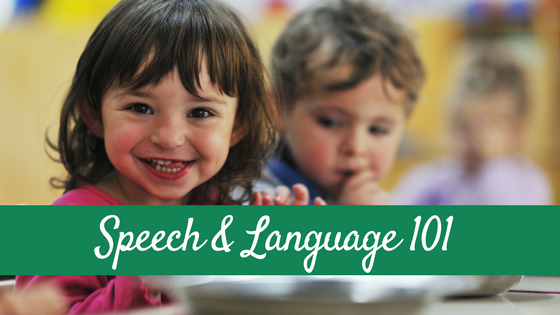 I found this as very useful information regarding speech and language improvement. More power Mrs. Katie. I just found your website late last night and I want to thank you now for the freebies on the Very Hungry Bunny. I had it printed last night and I am very excited to pick up my son from school today so we can make the booklet. I am trying hard to teach my 3 1/2 year old son with communication because I am seeing something is wrong the way he talk, just like getting out of context when we talk about certain things. We already went to specialist including speech theraphist, but they found nothing is wrong. I put him on theraphy sessions until now (more than a month now), but I am not sure if we are on the right track of therapy since he improved his vocabulary but the way he express his thought is awful. Mrs. Katie, can you comment on this or give me some insights please… Thanks in advance. I’m a mother of 3 rather talkative kids so I only partially relate to this. My oldest started 4K this year so every day when I pick him up I try to find out what happen at school today which is where I can totally relate! Getting anything out of him is like pulling teeth (which, after talking to his teacher, I know is common for kids his age!) When the school year started I had to pull simple things like going outside and reading out of him. I’m finding that if I lead him it helps a lot. “Your siblings and I colored today” will get more excitement about the coloring he did in school than to say “Did you color at school?” which would end up with a simple yes or no answer! Thanks for this..things to keep in mind!